From September 3-11, the Palermo Food Fest fills the city’s streets with typical foods from throughout Sicily and Italy. The town comes to life with chefs and musicians and artisans and more. Without a doubt, our favorite arancine, like this one pictured, will be enjoyed with glee. 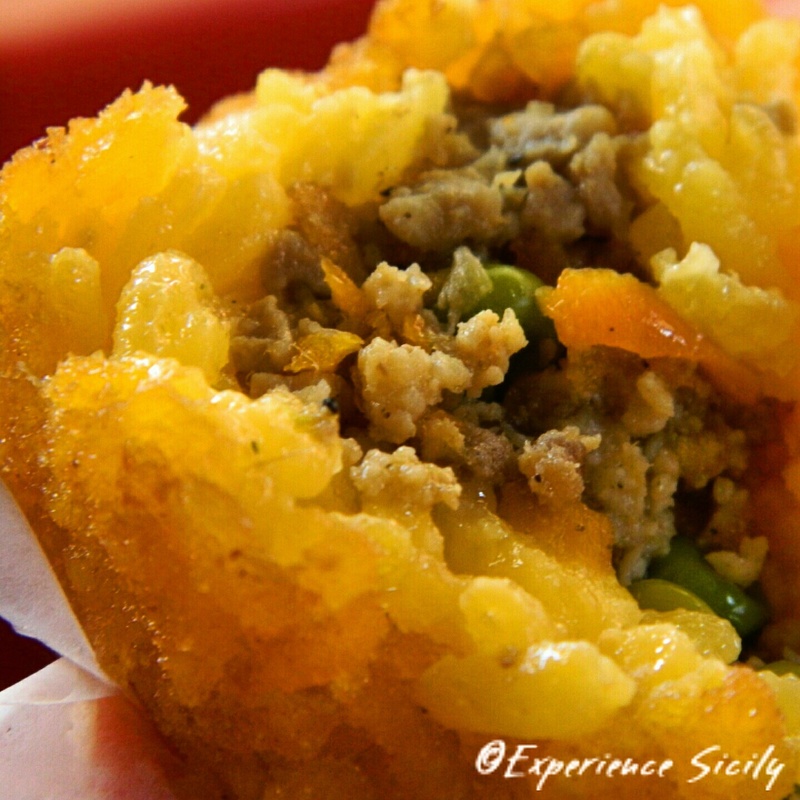 The fried rice balls stuffed with beef ragu, peas, and caciocavallo cheese are the perfect combination of crunchy on the outside and creamy, soft rice with gooey cheese on the inside. Sì! Giusto! I don’t normally eat beef, but for these, I do. This looks so delicious! Must plan this festival on my next trip.